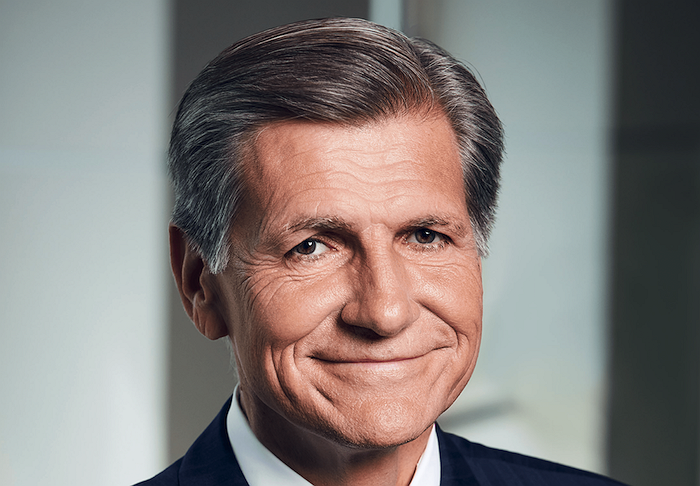 This story, P&G’s Marc Pritchard on Brands as a Force for Good, and Personal Goals, was originally written by Jack Myers and published on MediaVillage. “Media companies can and should have a purpose, identifying areas where the company can have a voice that makes a difference while building the business,” believes Marc Pritchard, Chief Brand Officer of Procter & Gamble. “Ten years ago, P&G went down a purpose path, but it was too disconnected from the business. What we’ve done recently, which is more effective in our view, is we’ve built what we call ‘citizenship’ into how we do business. We’ve been very deliberate about making sure whatever we do is both a force for good and a force for growth.” In a wide-ranging interview with MediaVillage in advance of P&G’s induction at CES into the Advancing Diversity Hall of Honors, Marc shared context on P&G’s and his personal commitment to doing good for society in a way that’s good for business, and to advocate for increased commitment by the media and advertising community to diversity and inclusion. Both in his P&G leadership role and as Chairman of the Association of National Advertisers (ANA), Marc has been the industry’s leading evangelist for advancing diversity and inclusion. “There’s a heightened awareness and desire to make a difference in the areas of equality — gender, race, LGBTQ, people with disabilities, religious, economic, and cultural,” he says. “But while expectations are high, progress is somewhat glacial. We need to hold ourselves accountable, and we should hold ourselves to a higher standard. We cannot lose sight of our progress, especially on closing the gaps in gender equality, but much more needs to be done. For example, numerous studies indicate women are still paid an average of 20% less than men — worse if you’re a woman of color. Twenty-nine percent of advertising still inaccurately or negatively portrays women. Fewer than five-percent of Fortune 500 CEOs are women; less than one-third of C-Suite and chief creative officers in the advertising agency business are women; only 10% of commercials are directed by women. Among marketing companies only 6% of the leadership is Black; 8% Latino, 10% Asian, well under the actual population. Among agencies only 4% are Black, 5% Latino, 10% Asian. Among the LGBTQ community, there are still those who are concerned their career will be negatively impacted if they self-identify. Marc believes “what’s good for society can be good for business, but purpose needs to be connected to business results. Second, Marc suggests that brand marketers, media executives and agency professionals join one of the industry efforts and learn from others. “We constantly encourage marketers to join the #SeeHer movement. Companies have joined together to encourage an accurate portrayal of women and provide gender scores to measure performance.” He’s an active supporter of #FreetheBid, which along with its founder Alma Har’el, will also be inducted into the Advancing Diversity Hall of Honors on January 9 from 4–7 p.m. at CES. #FreetheBid assures that one female director is included in bid requests for television commercial productions. Another initiative, led by the ANA, is the Alliance for Inclusive and Multicultural Marketing (AIMM), which uses the #SeeHer “playbook” to provide a performance score measuring employment advances across a spectrum of underserved communities. On January 9 at the ARIA Conference Center, P&G and Marc will be inducted into the 2nd Diversity Hall of Honors, along with the ANA and its president Bob Liodice, the 3% Movement (Kat Gordon), the NBA (Pam El), #FreetheBid (Alma Har-el), Budweiser (Ricardo Marques), Verizon (Diego Scotti) and Madonna Badger (Badger & Winters). The Advancing Diversity Hall of Honors is being underwritten by more than 30 media, advertising and marketing companies under the auspices of AdvancingDiversity.org and MediaVillage. At the event, Sundance Institute will curate the industry’s first Creative Tension, an immersive and engaging audience experience. More than 12 companies will also host an Inclusive Job Fair, welcoming CES attendees to learn about career opportunities in media, advertising and marketing. Details for Advancing Diversity Hall of Honors and Inclusive Job Fair are available at AdvancingDiversity.org and by contacting karla@mediavillage.com.